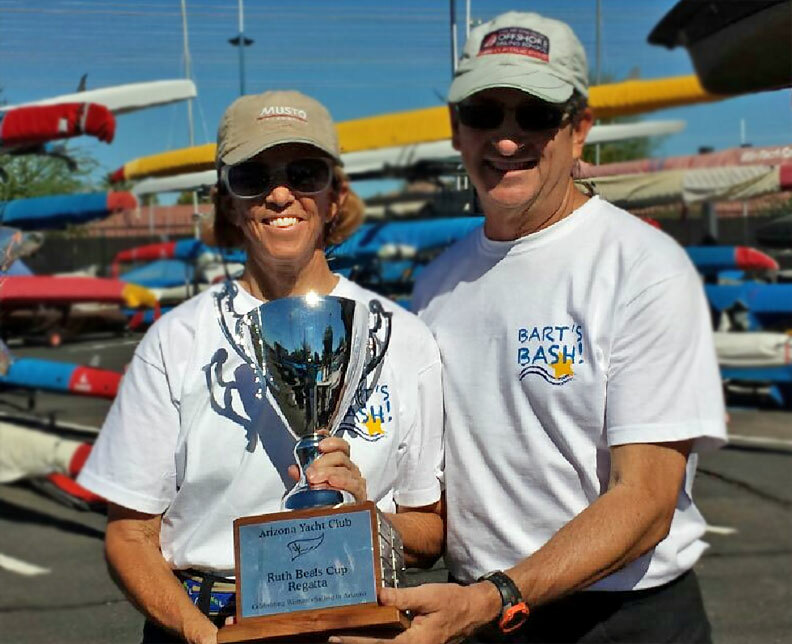 Maryellen Ferring hefted the Ruth Beals Trophy Saturday (11/8), winning the 10th annual race for women at the helm. The race is named for AYC’s founder. 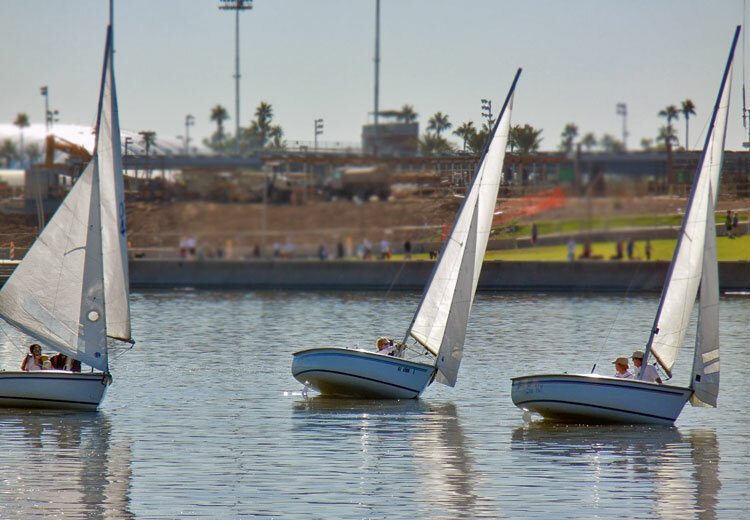 Maryellen and crew Mike Ferring took the win with two first place and one second place finishes in light air at Tempe Town Lake. Last year’s winner, Cindy Pillote, finished second with crew Wilson Davis. Suzette Bush was third with two different crew. All competitors sailed Capri 14.2s. Thanks to AYC Fleet Captain Steve Brown for heading the race committee and RC workers Bob Whyte and Victor Felice.